EAP Afarican Sam, WWANP321 was probably one of if not the most well known Native Pure bull used in the Watusi breed. He was originally bred by the late Pat Jones at his Exotic Animal Paradise in Strafford, Missouri. Sam was born in 1988 and we purchased him when he was still a youngster. We used him for all of his life on percentage animals here at Liar’s Lake. 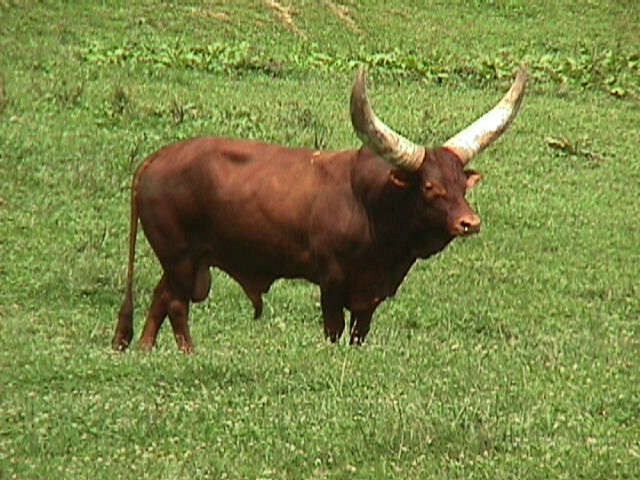 Sam’s legacy has outlived him and appears in the backgrounds of many percentage animals with the World Watusi Association as he produced well over a hundred calves.